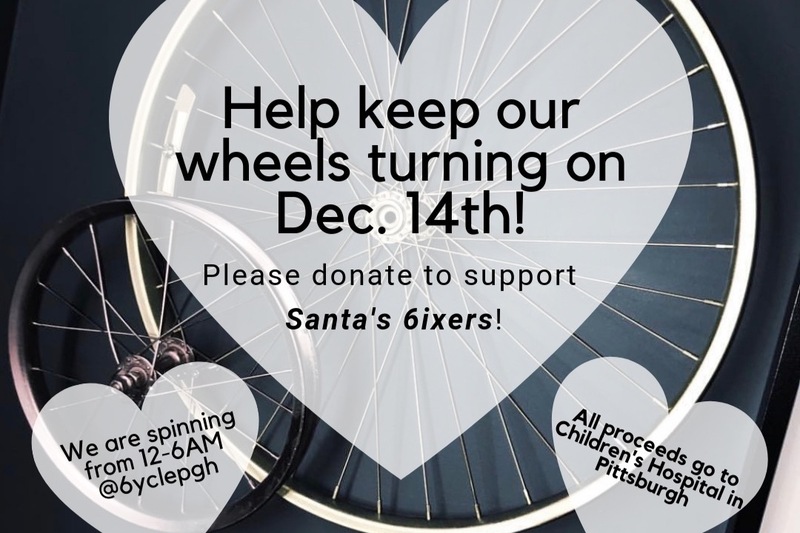 We are asking for a quick minute of your time to provide a small donation to help keep our wheels turning on Dec. 14th! We will be spinning from 12-6AM at 6ycle on East Carson Street in Pittsburgh, PA. All proceeds benefit Children's Hospital. Thank you for your support!! !